Need an personal injury attorney? Hi! I'm Kathy Brown and I can help. 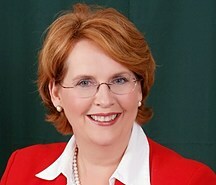 Kathy Brown owns and manages her own law practice. She loves helping people who have been injured or need helping with employment issues. I am the owner/manager of Kathy Brown Law, PLLC a personal injury firm. I represent individuals who have been harmed either through an accident or from losing their jobs. I also represent small businesses in contract disputes, damage claims, or any other business dispute. Outdoor activities, gardening, biking, and reading.